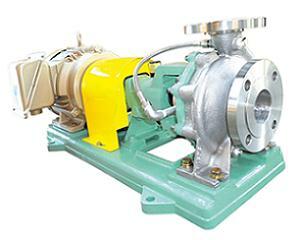 Process pump conforming to ISO2858 (JIS B 8313),16bar. Back-pull out type small size pump exclusive to 2poles for easy maintenance. Foot supported Back-Pull Out construction makes maintenance easy without disturbing piping.